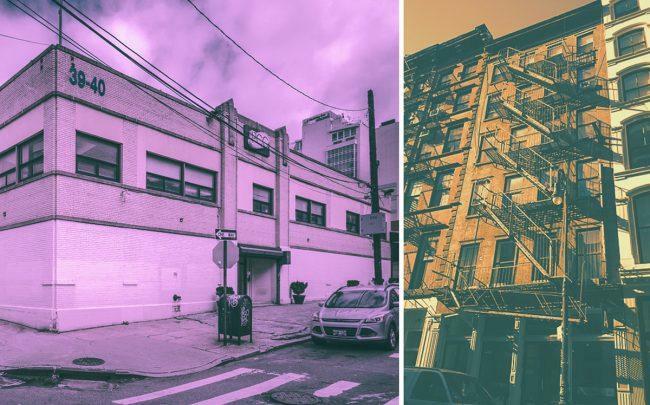 UPDATE: April 9, 2019, 11:55 a.m.: Mid-market investment sales made public in New York City last week included an industrial property in Bushwick and a development site in Long Island city. 1.) A development site at 39-40 30th Street in Long Island City traded for $15.2 million, in a deal that closed on March 19, according to Modern Spaces Commercial + Investment Division, whose agents Ashley Grebow and Evan Daniel represented the seller, Gary Gopalani, a local investor. The commercial building on the site is a two-story, 20,000-square-foot property but the site has the potential for up to 70,835 buildable square feet, according to the brokerage. The buyer of the site is Joseph Stern of SB Development, which was first reported by QueensBeans.com. 2.) Premier Equities and Thor Equities sold a commercial condominium at 51 Greene Street to Acadia Realty Trust for about $14.6 million. Premier and Thor bought the Soho unit in 2015 for $8 million, according to property records. 3.) Pennsylvania-based Seagis Property Group picked up an industrial property in Brooklyn for $11.4 million. The seller of 124-134 Forrest Street, which spans more than 25,800 square feet, was Pilot Real Estate Group, which picked up the site in 2015 for $6 million, property records show. Update: This article was updated to include the buyer of the development site at 39-40 30th Street in Queens.